Rice is the staple food of several Asian countries. Suffice to say rice business is very common in these countries. But this doesn't mean that western or any other countries are not up with this kind of business. In this article you can have an overview of how to start rice business. With rice farming business, obviously you will need a large parcel of land. You will need excellent irrigation system, the best seeds, the best fertilizers, the most effective pesticides, harvester, seeders and tractors for plowing the land. 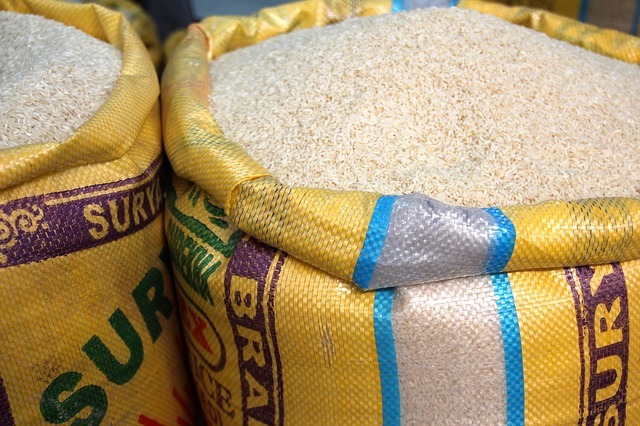 These are just the basic necessities of this kind of rice business for you to be able to start and eventually and hopefully sell after the harvest season. Rice mill business is also a good rice business. You will need a huge barn or storage area for the produce that will be milled and that has been milled. You will also need to invest for a rice milling machine. Proper maintenance of the rice milling machine is very important in this kind of business. It is better to purchase a new one rather than a refurbished one. Refurbished rice milling machine may be cheaper but in the long run it will be more costly for you due to the high cost of maintenance and probably for the repair of the machine. You will also need to hire an operator of your rice milling machine. With rice dealership business and with any kind of business for that matter, you need to apply for a business license. You need to look for a big storage room for the sacks of rice that will be delivered to you. You will also need to scout for a good location for your rice dealership business. You also have to implement FIFO (first in first out policy). You need to have several varieties of rice, so that your customers will have several options. Get a comprehensive non-life insurance policy for your business; make sure that you include the clause regarding “Acts of God” in your insurance policy. Better be insured than be sorry. The guidelines regarding rice dealership business may also apply with the retail and wholesale business. An additional guideline for this business is to ask for referrals from companies and friends. And be prepared to loose. If there are there peak season in any business of course there will also be lean season. So you have to prepare yourself for this scenario. Make alternative plans prior to the lean season month/s. Offer discounts and other marketing strategies during this season. Basically, there are some people who want to know how to start a rice dealership business, but are not aware on how to start. Hopefully these tips can help you. Rice industry in the United States indeed is a booming industry that is of tremendous demand by the consumers. These specifics on how to start rice farming can be very essential. To all those that wise to start a rice mill in your area please allow me to pass you my consideration what I have learned about starting and operating a small milling operation. Those that have medium to large size operations they do not need anything I have to say. First thing as in anything else in life we are much better off doing things in a group so that we have a support we can contribute to and also benefit from. Those that are decided to do thing alone have made up their mind and may not want to consider anything I might have to say. It is only meant as a friendly advise in any case. We know that there are other farmers around us and most of them poor just like us. Maybe we have others throughout the years spend season after season borrowing money just to be able to harvest enough to pay for the money we borrowed and perhaps have enough rice left to eat. A single rice mill will nowadays can be purchased for around what is the equivalent of $5,000.00 US dollars and there are dryers we can also purchase for a similar amount. Rice had to be dried soon after harvest so that it will last long enough to allow the rice to be milled and then sold or taken to market to be sold. If you can begin by lending money to farmers you can trust for a long enough period to multiply your own money to raise what you need to buy a mill, build a housing around the mill and also a dryer then you can either sell the rice at retail or sell it to other retailers at a lesser price. This will give you enough money to run your milling business and always have enough money to keep your business running without running to low in money. It is easy to run yourself right out of business in you start with only the minimum amount of money necessary. Be patient and work until you are sure you will survive and your business will always have customers or if you do everything for yourself enough rice to mill and sell without running out. I am from Guntur city, Andhra pradesh state , India. I want to start rice whole sale and retail business including all types of serials. Please advice me how to get all licences and approvals. My business is small scale. Please advice me. pakistan, lahore. i want to start a rice mill..how much money i have to invest.to make the mill and start the production! PLease could you provide me some details about exporting rice from Thailand to China? Hi,I am from Lagos, Nigeria.I want to start Rice dealership.I need that is required for the importation of Thai Rice,as well as, the procedures for the dealings. I would also need good advice about the scope and future of the business.I would also like to get information as to how to get the contact of the sellers.THANK YOU. Hello i am from, Liloan Cebu Philippines, i like to ask how much money is needed for the permit of dealership and wholesale retail rice business. I am alver from philippines, and i am currently working abroad. mean to say i am not the one who is handling the business I started. (rice dealership) one of my close and a family friend who is handling it. he knows everything about rice the quality and etc. what i am doing is just all the financial matter, capital etc..my question is how much do I need to give or to pay him. please someone who can help..
Hi,i want to do rice business retail/wholesaling in philippines pasig palengke is this a good place? can you give me an idea how to start this business? thank you. Pls tell me how much Paddy is required to get 50 Tons Rice per day ? Thanks n Rgds. @Hasan, you will get 58-67% of rice from paddy depending on the paddy quality, rice type. Hi, I wanna know more details of wholesale about rice from Thailand to Nigeria. Many thanks!! @narasimha goud goud, there are few things to know before you plan for rice mill. Normally rice mill capacity is defined by paddy entry and per hour. Here are some pointers. What is the cost of 3 tons per hour rice mill in India? For raw rice it will cost you about 25,000,000 INR or 2.5 crore rupees. This includes the working capital but not the land cost. For parboiled rice of same size will cost you 3.5 crore rupees. How many employees needed to run a 3 tph rice mill? You need about 15 employees to run the plant but it also depends how much automation you have done in your plant. dear sir i want to start rice mill business in kurnool in andrapradesh. i want to know it is the correct place or not. and also after making the milled rice how i can do the business whats processes i need, and also how i can handle this business give good idea's if i want meet with u before starting the business what can i do. plz give me u r mobile num i want talk u directly sir. i want start this business immediately sir. @narasimha goud goud, before we talk about anything else lets start with your budget and land. write back with what is your budget and how much land you have. Do you have any collateral or not? @Linto, If you want to trade rice from Uttar Pradesh to Kerala. You only need to register your firm in sales tax office of your state, Once you get the registration number you can start trading rice from any mill in Uttar Pradesh. There is no license needed to trade rice within india. Manufacture will issue the Bill to your firm and then you can sell it with your desired rates. @narasimha, You cannot setup a good rice mill with Rs. 40 lacs. You have to buy machinery, you have to invest on building and warehouse and the most important investment is Working Capital. If your bank can finance you Rs.2 Crores as Term Loan and Rs. 1 Crore as working capital then only you can jump into this business. Discuss it with your bank, As your bank may finance you after evaluating the Value of your Properties. hello, i am leena from new delhi want to rice mill. which state is better and what will be the minimum cost to setup. Hello, am halima from Nigeria.Given five years profit of a business, i need to prepare a feasibility study on rice farming, wondering if i may have a sample of any feasibility study on rice farming and compere it with mine through my email pls.thanks. @leena, all the central and south states are major producer of paddy so you can start anywhere in those states. Minimum cost to start a mill depends with your size of the mill, it can be as little as 1-1.5 crore indian rupees. how can i start a rice mill in bangladesh? how unique rice is as product in Bangladesh? what the demand of rice is in every year in bangladesh? what is the condition of competition? what is the total market potential in bangladesh? what equipment is needed? how should my production process be laid out? pasig city phils.,, i would like to start a rice business, i would like to seek wholesaler/financer to help me out starting in this business,,hoping and waiting for this very great business opportunity..please email me at eman_monreal@yahoo.com // thank you.. I am an oci living in SOUTH AFRICA, i want to buy an existing business in India, preferably a retail supermarket. any leads? Sir, I am planning to start rice business to kerala. My plan is to take rice from another states and to deliver in kerala. I want ur advice that how much money to spend in starting stage?. What are the formalities to start this business? Its profitable or not? After going through this blog, I thought its worth putting some extra information about rice mill plant and machinery. As everyone know, the main hassle in starting rice mill business is big investment in plant and machinery. I guess not now anymore. We deal in complete rice mill plant which is cost efficient and low maintenance as well. If anyone is interested for more information, I can be contacted through my email( santoshnp@yahoo.com). I have my fathers rice mill in polonnaruwa sri lanka it has be given to rent so after it finishes i want to start the rice mill with a modernize method please give me some idea how to start how much capital i need to start the business,. i m sithira medium scale rice miller from sri lanka. so i need to know how to make paddy husk flour as animal feed . thank you. @Rahul,Â A feasible rice mill cant start with the budget of Rs. 50 lakhs. Even you manage to get the loan you need more than 50 lakhs as working capital. Dont trust the people committing you that they can setup a good rice mill in less than 50 lakhs, there are lots of frauds roaming in this business all over india. I request the readers of this blog "Consult a milling technologist before starting any food processing industry"
can we need to take license from govt, if we, then whom to we consult and what are the basic requirements/needs to start a rice mil. @tanuja, To start a rice mill first you need minimum of 2 Acres ofÂ land, Atleast Rs. 2 Crores for 4 TPH Rice Mill and Approx Same amount for the working capital. The main advantage of this business is that you need not rely on the local market as Govt. itself is the primary consumer of your finished product. Dear sir, I am Rakib from Bangladesh. I am a student. In future i want start a auto rice mill in Magura district of Khulna division in Bangladesh. suggest me for the the initial investment and land required for a Auto rice mill. and also suggestions for the support(financial) of my business.Please help me. Thank you. Dear Mr. Rakib, I am Engr. Md. Monowar Kabir (B.Sc. in Electrical and Electronic) and I am working on turnkey project for Auto Rice Milling Plant in Bangladesh as a consultant. I did some good project from feasibility study to complete plant but need full support the person who wants to set up fully Automatic Rice Processing Plant from (Pre Cleaner of Paddy, Parboiling and Drier Plant, Complete Rice Milling Plant). If you need more details, please contact with me by e-mail mieee94@gmail.com or mobile no. +8801817519708 Thank you. i m staying in vizag. want to start a business. could u suggest me. How to manage rice mill, the structure the work flow, labours, distributions and how to receive orders and what will be the average rate of profit or minimum profit annually. Bhubaneswar orissa. Hi, I want to start the business with a auto rice mill. But I don't know the procedure and what machinaries are needed and how much money needed for in it at my native district. A FeasibleÂ Automatic Rice Mill With Parboiled Section has the minimum capacity of 4 Ton/HrÂ and this project cost is Approx. 3 Crores, Same project with semi-automation will cost you Approx. 2.5 Crores. almost same amount you need for working capital. To start this business, first you need at least 2 Acres of Land and then meet a MILLING TECHNOLOGIST who will design your plant as per your requirement and Budget you have. i m staying in kakinada. want to start a Rice Milling Plant. could u suggest me. Hi We offer consultation services for new rice mills. we undertake entire process of installation and post production. Call me at 08686153789. I want to know whether government of India is providing any financial assistance(i.e. Subsidy) to Rice mills or not. @Satyaprakash, Yes, Ministry of Food Processing Industries, India is providing the subsidy for Grain Milling Sector, namely, Flour Mill, Rice Mill, Pulse Milling. Hello, I would like to know how could I start rice mill for sale to the market in my country (Cambodia)? And I have import Rice Milling Machine From Korea but I can't sale it because of the price about the quality it's good. please, help me how could I do? DEAR SIR/MADAM, I WANT TO START PADDY RICE MILL IN ALIGARH UTTER PRADESH. PLZ TELL ME. HOW MANY INVESTMENT AND LAND MINIMUM REQUIREMENT? WHERE IS PROVIDE RICE MILL REGISTRATION OR LICENSE? PLZ GIVE INFORMATION VERY FAST. i want to set up my rice business in the form of exporter. kindly suggest me for initial investment which can be done in exporting the rice to other countries. how to get international clients to sell the rice. Hi, I am Geetha living in US on L1 visa... Our relatives have a rice mill production in AndhraPradesh which is well established and already in rice supplying since 10 or above years.. Since we are in US now, they want to expand their business and start the export to US.. Need help in going through the process on how to start up.. Thanks and Regards, Geetha. I have purchased a rice milling machine and need to know the best place to locate my business. I live in the city of Nairobi, Kenya and rice growing area is 220Km away. There are many customers in the Nairobi for processed rice and by-products and I can manage better while near the miller. However rent and transport (from farms)is expensive. Locating the mill near the rice farms is cheaper but difficult to manage while too far away. Please guide me on best decision to make. sir, i am Indian but now i am working Cambodia new rice,solvent and power plant projects as a g.m.i have seen your total clients questions. I am feel very happy. from 1975 i am in parboiled rice mill field.you want any small advises free of cost about rice milling,parboiling process and rice trading of (steam,raw,parboiled and half boiled)rice.this is only my hobby.and any 12 ton to 20 ton rice or pbrm owners want to my service at Andrapradesh or other country i am ready to do.my date of birth 20-11-1960.Thanking you sir/madam. in the process of getting started as soon as possible the strategy is handy. already have naturally endowed of the products, i need land mark plan and necessary machines layout system with any other details in regards to mills . I am a last year MBA student after the course, I want start a rice mill in Raichur district in Karnataka India. suggest me for the the initial investment and land required for a small rice mill. and also suggestions for the support(financial) of my business.